ONE-UPS FOR EVERYONE! ONE-UPS! FOR EVERYONE! EVERYONNNNNNNNNNNNNNNNNNNNNNNE! 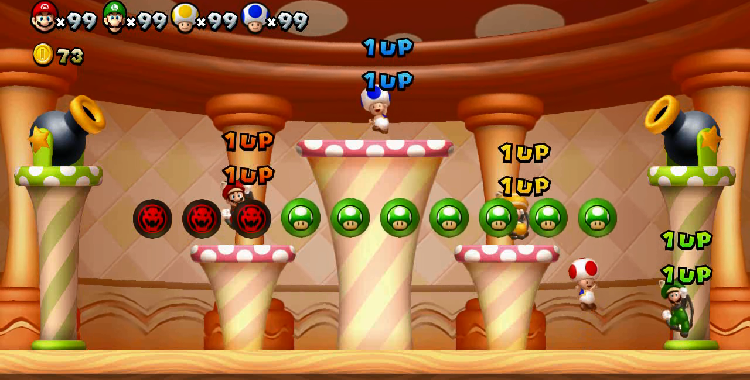 We’re playing New Super Mario Bros. on the Wii U! Thanks to Doug Fiala loaning us his system, we have a chance to play through this brand new co-op adventure. Will Luigi stick to his guns as a mass murderer? Will Yellow Toad stick to his guns as an Australian drug addict? Will the acorn become everyone’s new favorite power-up? Only time will tell. Chris, Shaun, Jason and Tech Guy are back, taking on a brand-new game in this series. We still want your requests! Have a game you want to see us suffer through play next? Let us know in the comments or by sending us an email. Now that this is a series, we’ve created its own page, which you can see here. It’ll list all the games we’ve done so far and what might be coming next. It’s time to save the princess for the 256,804,942th time. Game on.